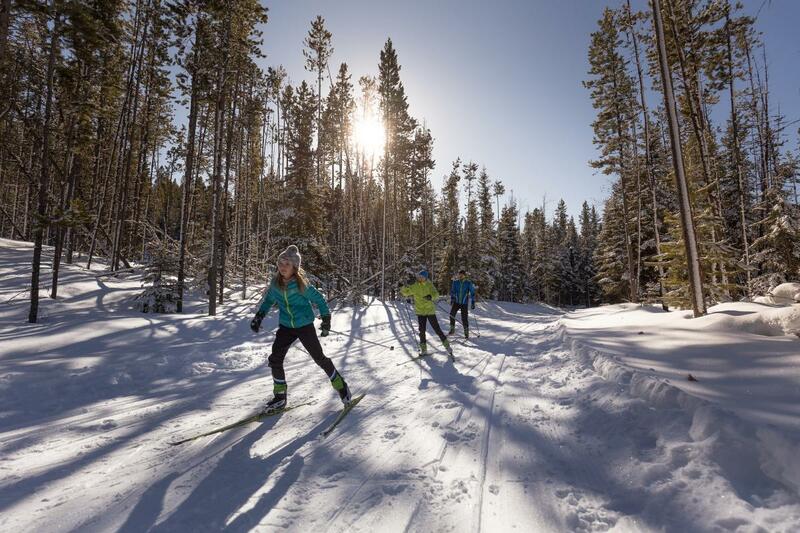 The Overlander Ski Club has maintained 60 km (37 mi) of cross-country skiing trails for over 35 years. This immaculately groomed network of trails sits 25 km (15.5 mi) south of Kamloops along the picturesque Lac Le Jeune Road. 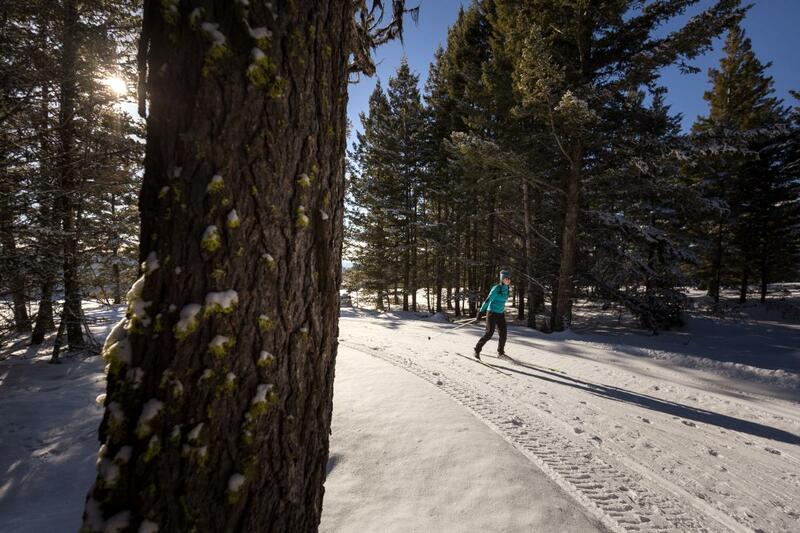 It’s a welcoming place to enjoy seasonal recreation and here are four ways for you to enjoy the trails at Stake Lake this winter. Why not challenge yourself to skate and glide all the trails? The network ranges from beginner to advanced, offering people of all abilities the opportunity to explore. Start by warming up on Cartwheel trail before heading out on Cowpoke and Drifter. Then, tackle the 8.7 km (5.4 mi) Sidewinder that takes you to one of the highest points in the network at 1,410 m (4,625 ft). Want more? Navigate the weaving trails between rests at one (or all) of the seven shelters scattered along route. There is something magical about gliding through a forest of snow-covered trees lit up under a starry night sky. At Stake Lake, there are 5 km (3.1 mi) of trails open for night skiing from Monday to Friday until 9:30 pm. Ski around the Lake, and weave in and out of the surrounding area to experience the magic of night skiing. The lodge stays open late so skiers can cozy up someplace warm between glides. Most dog owners would agree that that there is nothing better than bringing your dog along for a winter adventure. 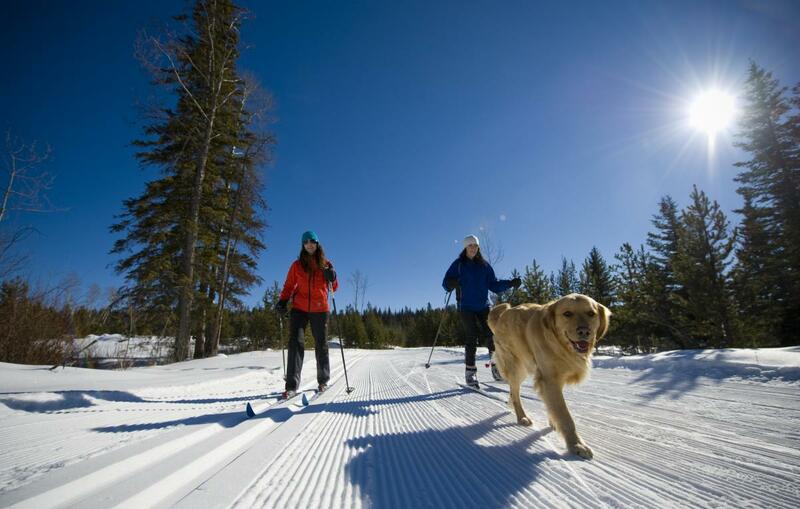 There are 5 km (3.1 mi) of trails reserved for dogs and their owners to ski or snowshoe. Remember to pick up after your dog so everyone can enjoy. 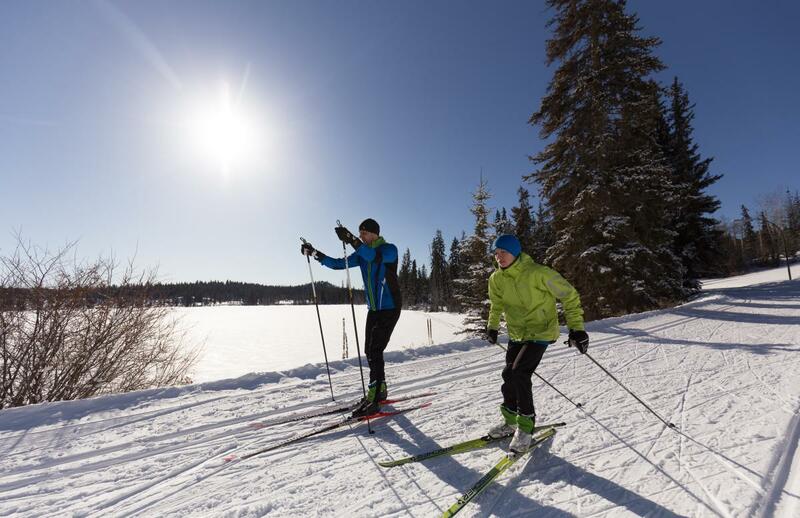 Cross-country ski lessons are a great way to learn new skills and techniques. Lessons at Stake Lake offer participants the opportunity to gain confidence in the sport and prepare them with the knowledge they need to explore more challenging trails. Private, semi-private, and small group lessons are all available by the hour. 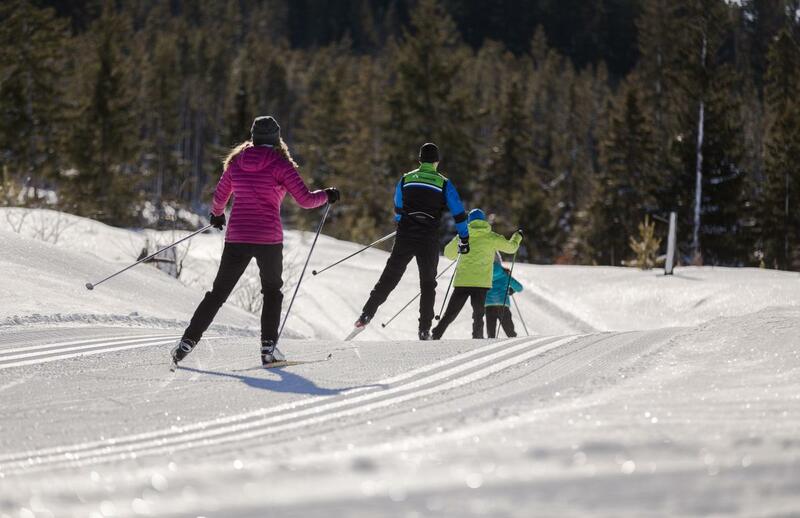 Ready to give cross-country skiing a go? This is a great place for a first-timer to try it out or a veteran skier to give the ‘ski it all’ challenge a shot. Open from late November through late March (snow dependant). Rentals available. Leah likes to pedal bikes, wander trails, and chase snow. She spends her weekends exploring BC and all her other free time searching for cheap flights to places she's never been to.